Yoghurt is my Wonder Food. Yoghurt can be used in many dishes / beverages, it is so versatile that I always have a big tub of yoghurt in fridge. Yoghurt can be easily prepared at home. I was first introduced to yoghurt making by my yoga teacher Kasturi. She is of Indian descent, and yoghurt is part of their daily diet. The most outstanding benefit yoghurt comes from the unique way yoghurt is made. 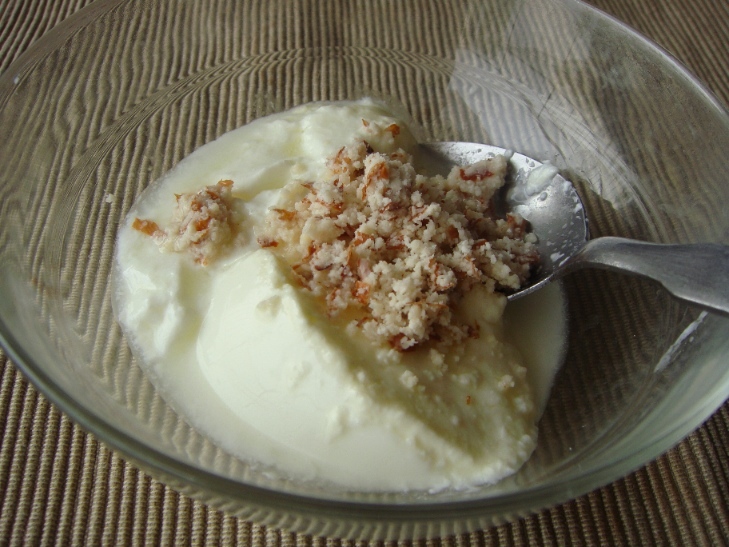 Yoghurt is simply milk that is cultured with active live cultures. These cultures are the key to many of yoghurt’s health benefits. Active live cultures are basically good bacteria that are necessary for the body to function at its best. These good bacteria prevent the growth of harmful bacteria that cause bacterial infections and diseases. Healthy levels of good bacteria also promote digestive health and boost the immune system. Good bacteria prevent imbalances in the body’s yeast levels, which can prevent various types o yeast infections. It has been shown that good bacteria can also prevent urinary tract infections. If you are taking antibiotics, they may destroy the good bacteria present in your body. Eating yoghurt regularly can help restore your good bacteria levels. Active live cultures actually reduce yoghurt’s level of lactose, making yoghurt a delicious dairy alternative for anyone who is lactose intolerant. Here I am using fresh milk from the cow’s farm. I prefer fresh milk because the yoghurt texture will be thick and creamy. 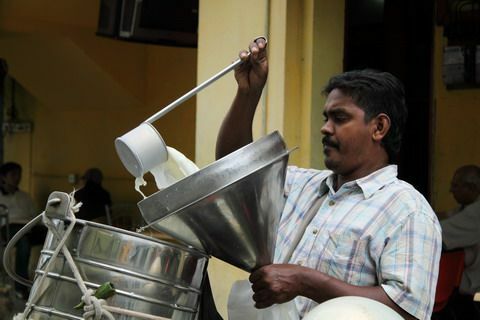 In Malaysia, getting fresh milk is so convenient even in the cities. There are plenty of cow farms owned by Indian farmers, and in the evening, they will go around in their motorcycle with a milk carrier to deliver fresh milk right to our doorsteps! How lucky we are! If you don’t have access to fresh milk, don’t fret. You can also use pasturised milk in carton or milk powder (full cream or low fat is fine). If it’s your first time, buy a tub of plain yoghurt that has “active live culture”. From then onwards, you can use your homemade yoghurt for culturing future batches. If you are hardly eat yogurt, you are missing out on so many various ways in using yoghurt. Check out my tips in using yogurt. 1. 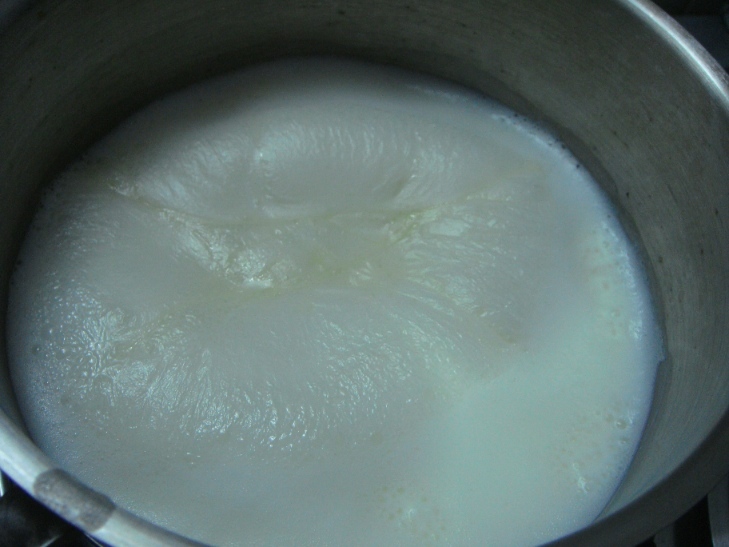 Heat milk in pot to boiling point. Switch off fire immediately when the milk starts to create small bubbles around the pot. Be careful because the milk can overflow very fast once it reaches it’s boiling point. I was caught off guard before and it’s very messy to clean! 2. Let the milk cool to approximately 110 °F or 43 °C, takes about 30minutes in tropical country like Malaysia. 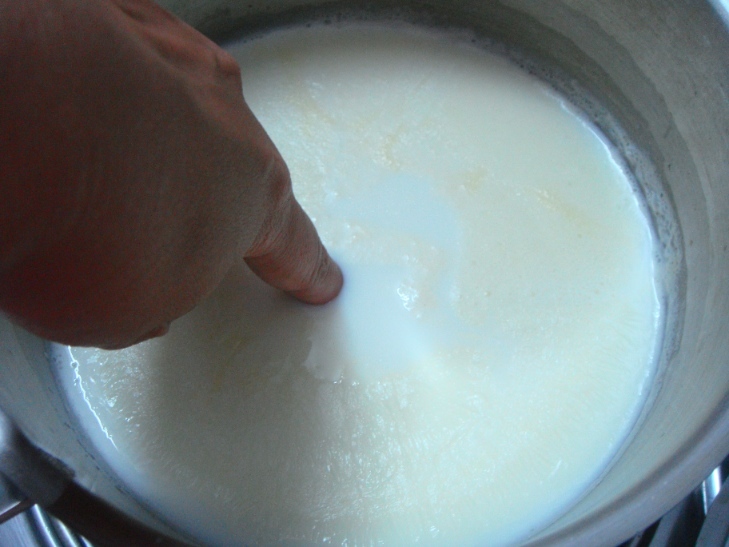 An inexact test for the temperature is to test it with a finger: if the finger can be left in the milk for ten seconds, the milk is at about the correct temperature. Make sure you clean your hands thoroughly before doing that. 3. 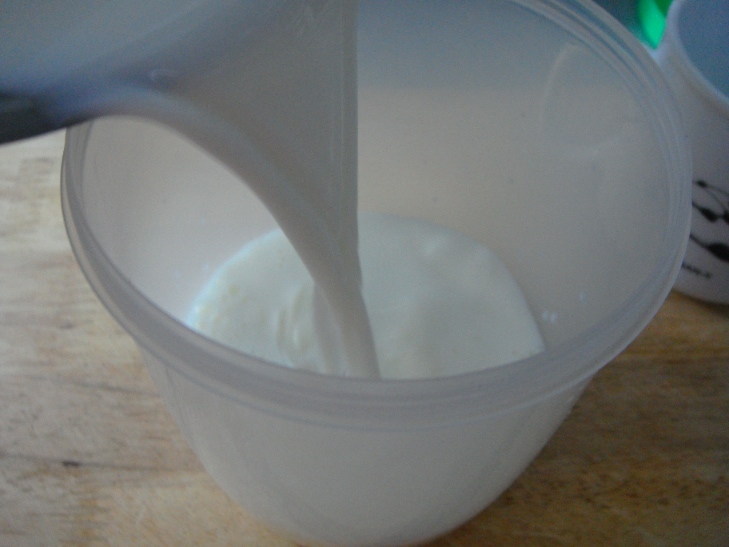 Once the milk has cooled, pour milk into a container. 4. Add in a tablespoon of yoghurt containing live active cultures. 5. 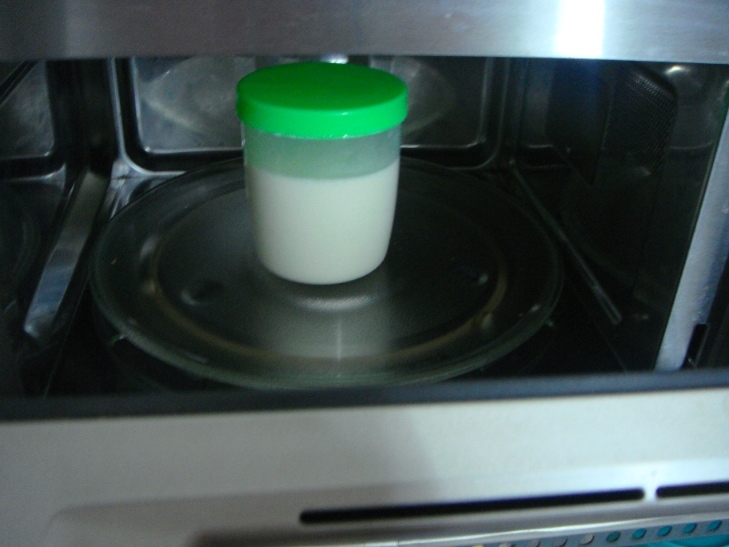 Incubate the milk in a warm place (microwave or oven) for 6-8hours. 6. The fermentation time depends on the desired texture and tang in the final product. A shorter period yields a slightly runnier product with a mildly sour flavor, while a longer period yields a thicker and tarter yoghurt. More than 8 hours will produce more sour flavour because the culture keeps fermenting. 7. 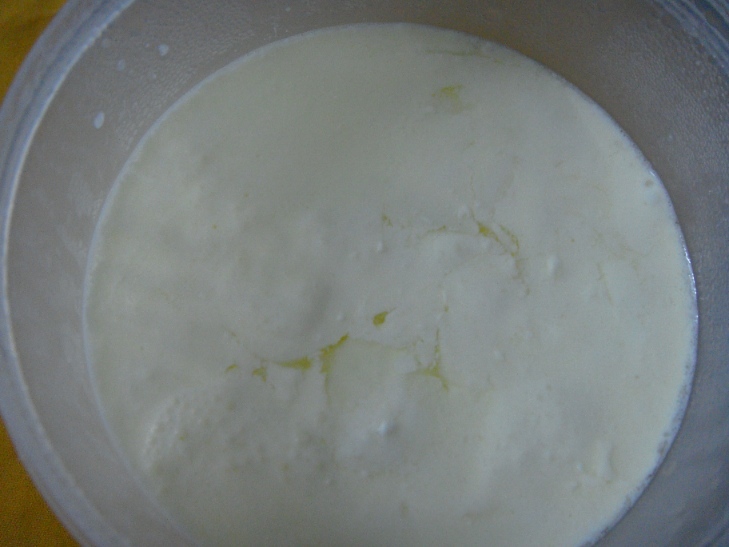 After full fermentation, the yoghurt can be stored in the fridge and this will stop the fermentation. * To store plain yoghurt for the purpose of culturing future batches, it can be frozen in one tablespoon portions and then stored in the freezer. The culture can be thawed in the refrigerator or at room temperature and then used. Homemade yogurt is the best! Hi there, I’m so glad I came across your blog! Would like to ask, when making yoghurt, if I use a tablespoon of live culture that I recently kept in the freezer, should I keep stirring it into the prepared milk ( after I’d defrosted it of course ) or just lump it in? Also, can I use skim milk/reduced fat milk powder and if so, how many tablespoons of powder should I use to make a kilo of yoghurt? Thanks. Hi Cygne, I’m not sure if the frozen culture will work because the culture might be dead under 0C. You can try it and share it here so other readers can learn too. You don’t have to stir, just drop the whole lump on yogurt starter. Hi Shannon, the texture of my homemade yogurt turned out to be like tao fu fah – kind of runny compares to commercially bought yogurt. Is it supposed to be that way? 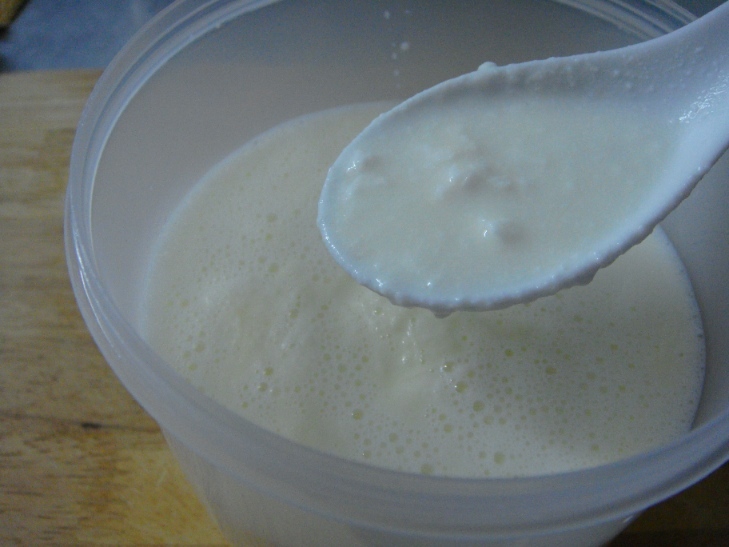 The texture of homemade yogurt is runny compared to the commercial ones. If the temperature of the milk is higher than 43C, it will turn out runnier. Hi, I just discover your blog. Love it. I have tried to make yogurt before using this method by using DuthbLady plain yogurt. We just put it on the room temperature at the kitchen. But the yogurt turn out very sour after 8 hour. Can I know is it spoilt already? Or is it the starter sour, the homemade yogurt will turn out sour also. Hi Tammy. Good to know you have tried making your own yogurt. It doesn’t matter if the starter is sour, yogurt will be more sour after 8 hours (more hours for the culture to continue to ferment, it’s not spoilt). Try with only 6 hours. Thanks for your reply & advice. I have confident to make my homemade yogurt again. God blessed! Hi, may I ask how long can the homemade yoghurt be stored in the fridge before it’s not safe for consumption? Hi Kit, sorry for late reply. Usually homemade yogurt will turn more and more sour after a week, because the live culture continue to culture, you can still eat it if you can stand the “sourness”. Usually I just make small batches enough for a week. I have a toshiba fuzzy rice cooker which have the yoghurt feature. I was just wondering how do I make use of this feature to make my own yoghurt. Do I just pour the milk, water and put in the live culture in there and switch on the yoghurt function? Once it is done, leave it to cool before I put in the fridge? Or do I need to boil the milk, live culture and water to the boiling point. Once that is done, leave it to cool for a while before pouring all into the rice cooker? And then leave it to cool before putting it in the fridge? If I want some strawberry flavour to the yoghurt, what do you recommend and when to put this flavouring in? Can I use chocolate milk to make my yoghurt, I will have instant flavour :-)! 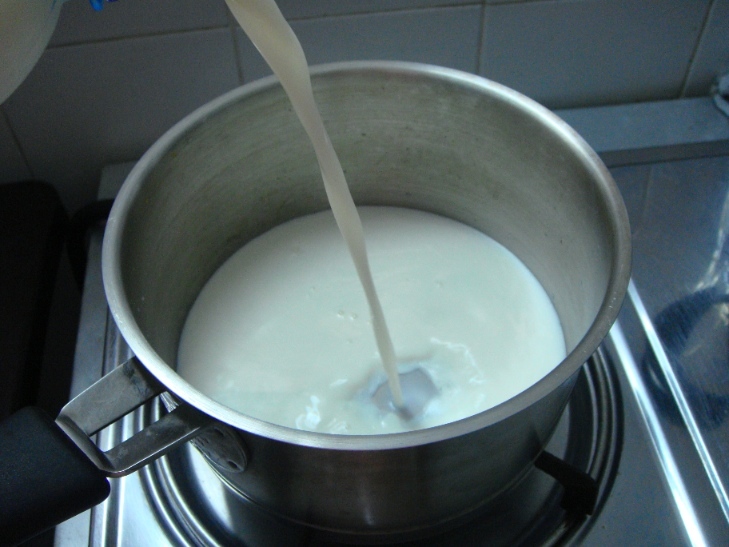 Usually a yogurt maker maintain the temperature (45C) suitable for the yogurt culture to cultivate. I haven’t come across a rice cooker that has yogurt feature, so I don’t know how it works. What does the manual say? You can try adding some milk + yogurt with live active culture and switch on the function. Don’t boil the milk, it will kill the culture) or add water (it will be watery). When it’s done, put in the fridge. 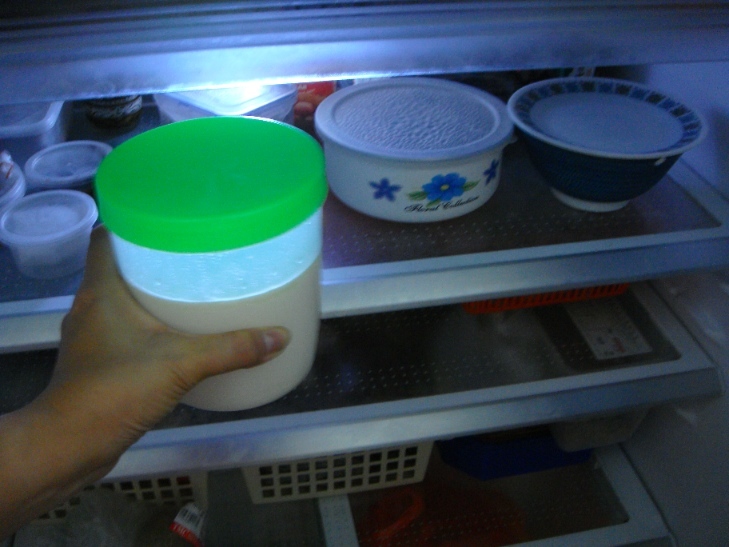 One of my reader successfully use flavoured milk to turn into yogurt, but the texture varies. Else, you can add jam / fruit puree / chocolate syrup to plain yogurt. where I can buy plain yoghurt that has “active live culture”? Hi Justasdelish! Wonderful post! Great tutorial on yogurt making. Btw, hope it’s okay if I reply to Puteri here. Puteri, you can read my linked blogpost regarding plain yoghurt that has “active live culture”. You can also try Farm Fresh’s Natural Yogurt.